Today, the British Museum has announced its next BP-sponsored exhibition: 'Scythians - warriors of ancient Siberia'. 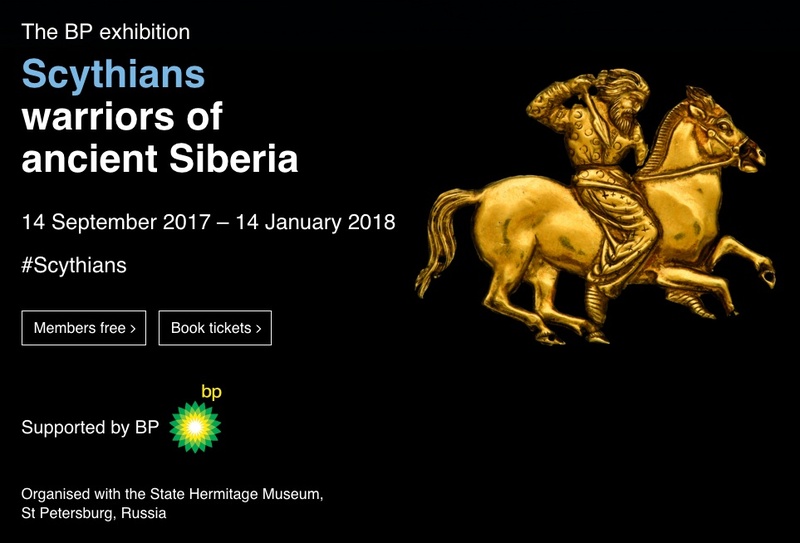 By putting BP's logo on the exhibition, the museum is giving the company a valuable opportunity to boost it brand, both in the UK and Russia, where it holds a 19.75% stake in the state-controlled oil company, Rosneft, a company notorious for its appalling safety record and numerous oil spills. And while the British Museum excitedly talks of how artefacts have been 'amazingly preserved in the permafrost', it ignores the fact that Siberia's permafrost is rapidly and catastrophically melting, as global temperatures increase, driven by fossil fuels. Once again, the British Museum has bizarrely chosen to protect the past but endorse those who put the future at risk, and at a time when questions remain over the legitimacy of its latest BP sponsorship deal.